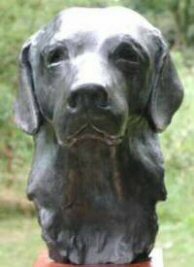 Portrait of a labrador retriever - "Cooper" Smith... 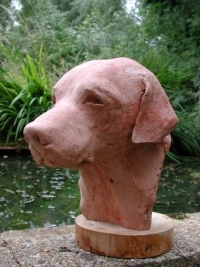 Shown here are three views of the terra cotta coloured plaster version as well as the original bronze (click on these thumbnails to see larger views). 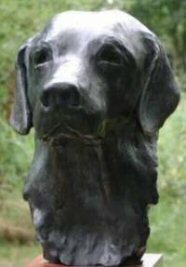 This is a recent commission by a North American art collector and his wife whose beautiful black labrador died in a tragic accident in the spring of 2003. 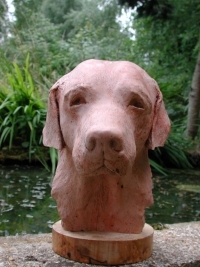 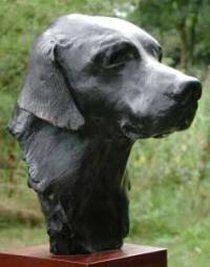 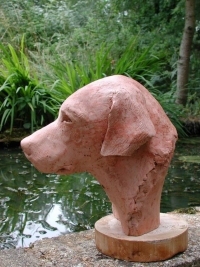 This labrador bust in bronze is available as a limited edition series (total of 8).